All of the elements of this brightly flavored dish come together quickly on the grill. Cooking the chicken on the cooler side of the grill avoids flare-ups while still giving it great flavor and char. 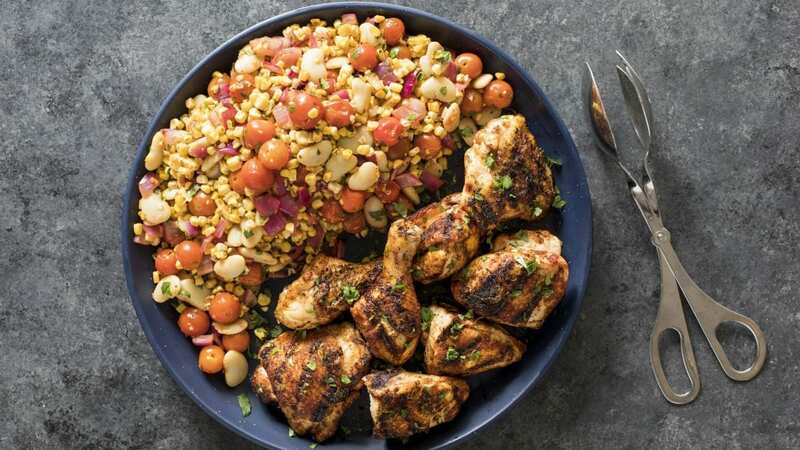 To round out our grilled succotash we use convenient canned butter beans, which are super-quick to prepare and have a creamy consistency and pleasant mild flavor. You will need four 12-inch metal skewers for this recipe. Love to cook at home? Want to learn some new skills in the kitchen? 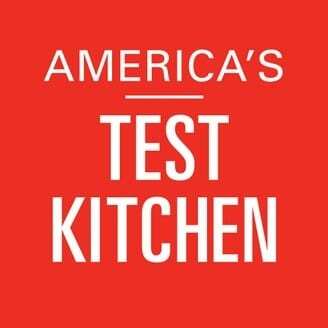 Find “America’s Test Kitchen” on Kansas City PBS in our schedule and watch at 11 a.m. every Saturday. Nutrition information per serving: 539 calories; 225 calories from fat; 25 g fat (5 g saturated; 0 g trans fats); 210 mg cholesterol; 472 mg sodium; 29 g carbohydrate; 5 g fiber; 11 g sugar; 52 g protein.